For kitchen makeovers, homeowners in Ahwatukee, Arizona, and the surrounding areas turn to Premier Kitchen & Bath. Founded in 1994, our company has decades of experience in the home improvement industry. We are well-versed in all tenets of remodeling, including design, product procurement, and construction, and we use this knowledge to the benefit of our customers. In addition to experience, homeowners in Ahwatukee, AZ, and the surrounding communities choose to partner with Premier Kitchen & Bath for kitchen makeovers because of our process. We offer an all-inclusive remodeling service, which means we can take a project from concept to completion. We begin all of our kitchen makeovers with a thorough discovery meeting, during which our talented designers will learn about the functional and aesthetic preferences you have for your remodel. Afterwards, our designers will schedule a time to come to your home so they can photograph, sketch, and measure your kitchen area. Once all of the necessary information is collected, our designers will create several design concepts and gather product samples to share with you during your next meeting. Revision meetings will be scheduled as needed until you are fully satisfied with the design for your new kitchen. 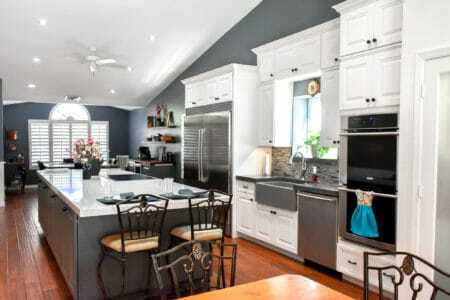 At this point, Premier Kitchen & Bath will draw-up a fully documented, well-planned, fixed-price proposal. Once that’s ready to go, we can begin the build phase. Our kitchen makeovers are completed by experienced industry professionals who have an eye for perfection, so you can feel confident that yours will turn out beautifully. 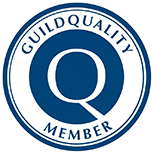 We also back our work with an exceptional five-year guarantee. Considering our wealth of experience, all-inclusive process, and focus on customer service, it’s no wonder why homeowners in Ahwatukee, AZ, and the surrounding areas choose to partner with Premier Kitchen & Bath for their kitchen remodels. Contact us today for more information about our services.